Formed in 2002 by luxury cruise industry veterans Joe Watters and Frank Del Rio, Oceania Cruises is the world's only upper premium cruise line. Formed in 2002 by luxury cruise industry veterans Joe Watters and Frank Del Rio, cuisine, comfort, service and outstanding value are the pillars that define Oceania Cruises’ five-star product (to say nothing of the exquisite art work onboard). These pillars have positioned the line as the cruise company of choice for travellers seeking a truly refined and casually elegant travel experience. Oceania Cruises specials, such as its “Explore Your World” sale generally include on-board credits. 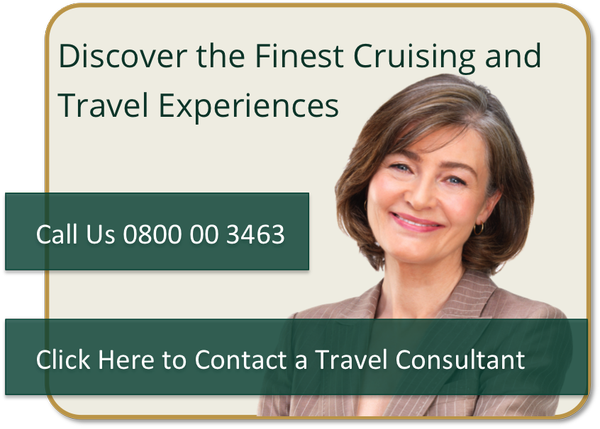 Click here for the latest Oceania Cruises special offers. To search for your Oceania Cruises itinerary use the Cruise Search Tool on this page. Oceania Cruises mid-sized ships make it an ideal cruise line for exploring the ports of the Mediterranean. Dividing its itineraries between “Western Gems” (Spain France and Italy) and “Eastern Wonders” (Turkey, Greece & Holy Land) let Oceania Cruises be your guide. Oceania Cruises sails to more than 330 ports around the globe. Itineraries are unique in that they call on the perfect mix of must-see marquee and boutique, off-the-beaten-path ports. Multiple overnight calls afford an in-depth, enriching destination experience and allow travellers to immerse themselves in the cuisine, culture and history of the ports visited. Oceania Cruises has developed a reputation with cruise travellers who appreciate cuisine. Whether it is the onboard cooking schools or the highly sought after Red Ginger restaurant (aboard Oceania Marina and Oceania Riviera) Oceania Cruises go a long way to satisfying their claim of having the best cuisine at sea. Inspired by the renowned Master Chef Jacques Pépin, take the opportunity to enjoy remarkable destinations and the finest cuisine at sea. 24 Night Cruise sailing from Miami roundtrip aboard Insignia. 180 Night Around the World Cruise sailing from Miami to New York aboard Insignia. 180 Night Around the World Cruise sailing from Miami to San Francisco aboard Insignia. 36 Night Cruise sailing from Buenos Aires to Cape Town aboard Insignia.